This week @AIESema, @MaxTheGrey and Astromech EPC-40 talk about the old school process for getting Magenta Crystals. The hidden, cross-galaxy puzzle to get the mats and schematics for the crystals is both fun and some old school content that it’s easy to overlook. We cover the details and tips from our experience doing it around launch and again recently. 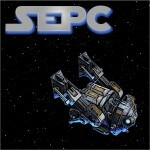 We also cover news for the week from SWTOR in general and from our guild, Alea Iacta Est in SWTOR. Of course, you’ll also hear what we have been doing lately.